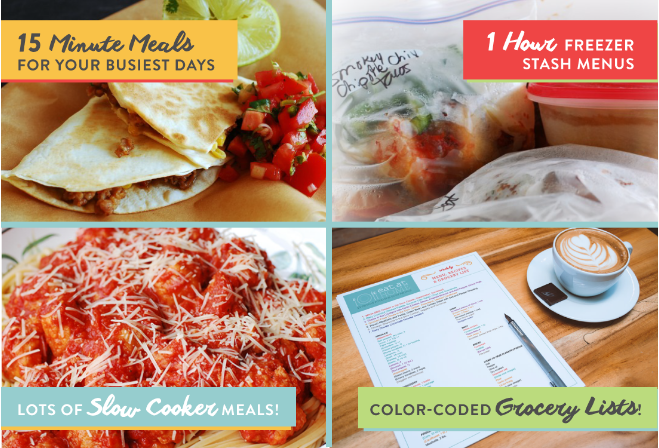 Take the Stress Out of Dinner: Eat at Home Meal Plans Done For You! Hi everyone! As you know I’m a huge fan of menu planning because of all the stress creating weekly meal plans saves me. I really dislike cooking so having a menu plan allows me to intentionally choose quick recipes so I can get in and out of the kitchen fast. BUT many of you have told me that you just don’t have the time to pick out recipes each week. It can be quite the chore to sit down with mountains of cookbooks and/or Pinterest each week searching through recipes trying to find something simple yet delicious to make. It’s actually a huge stumbling block for many busy moms. What if I told you that there was someone that would do all the work for you? Yes! The Eat at Home Meal Plans that I’m going to tell you about today might be just the service for you! Yes the benefits of a menu plan are many but it can definitely be quite the daunting task to do it. That’s where Eat at Home Meal Plans comes in. Eat at Home Meal Plans Done for You! 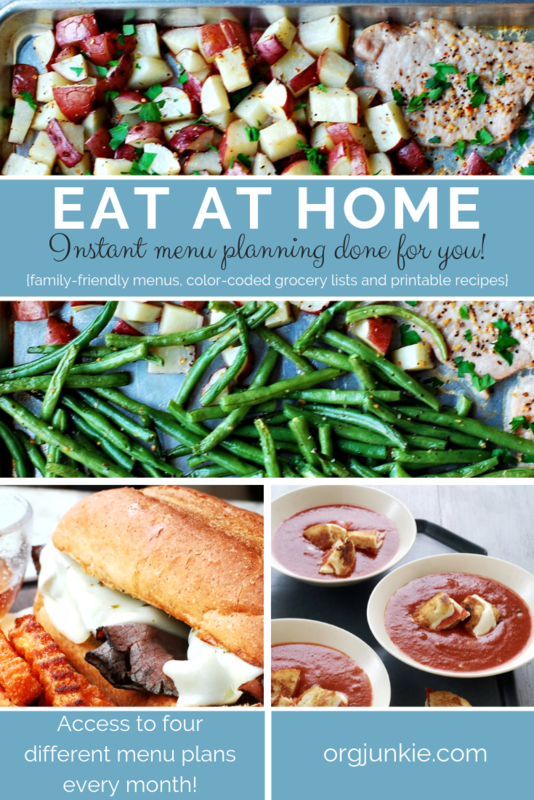 With Eat at Home Meal Plans you get menus, grocery lists and recipes that make dinner easy for your family. Each month you get access to FOUR separate meal plans (Traditional, Wholesome Traditional, Slow Cooker, and No Flour/No Sugar). 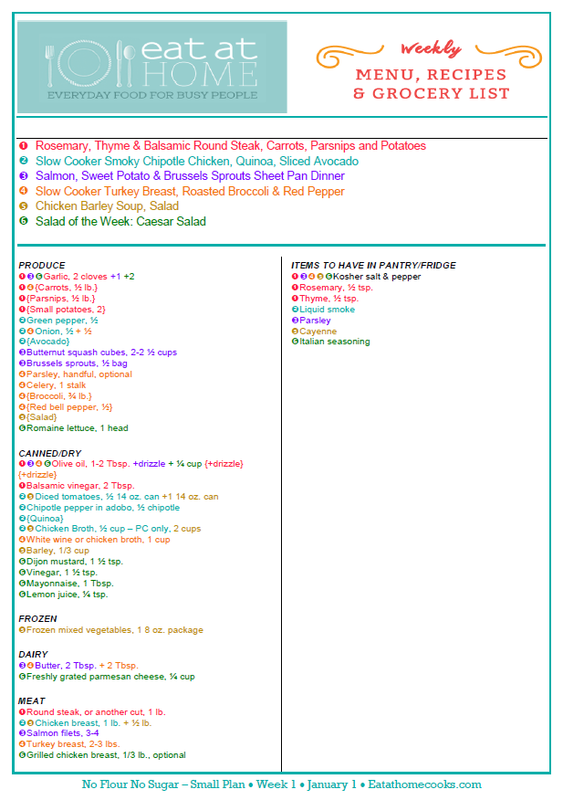 Just print the plans, color-coded grocery lists (seriously love this feature! ), and recipes you want for that month. There are plenty of options to choose from, even for picky eaters! Recipes are straightforward, easy to follow, quick to make, and taste delicious. Basically all you have to do is buy your groceries and cook the meal each week. You can even save more time by using the grocery list to purchase your groceries online to be picked up or delivered. 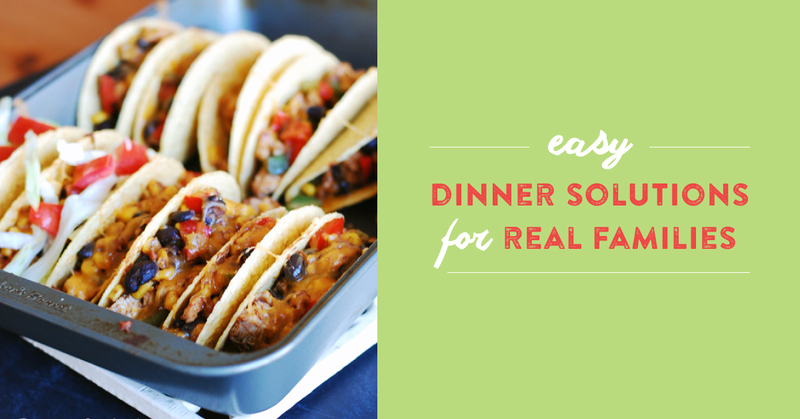 You may even want to print out the easy recipes and have your teens cook dinner. Whoot now that’s the way to do it! My two oldest (21 and 18 now) did a lot of the cooking for the family when they were living at home. Now my youngest (12) is taking over. He made his first start to finish meal last night all on his own. He was so proud of himself! 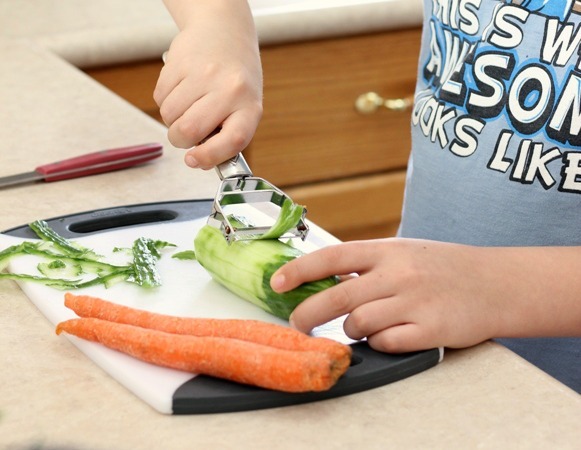 Here are my tips on how to teach your kids to cook. I’ve been following Tiffany’s Eat at Home blog for years. Her recipes are not complicated and they don’t use a long list of ingredients. I love that she now offers this service for busy parents who want to menu plan but just don’t have the time to create one each week. I really love that she gives you access to ALL four plans each month too. Similar companies make you choose between them. Eat at Home Meal Plan memberships are $14 a month or $7 a month if you purchase a year at a time. And to alleviate any worries, there is a refund policy in place. If you aren’t satisfied in the first month after checking it out, just let Tiffany know and you’ll receive a FULL refund. 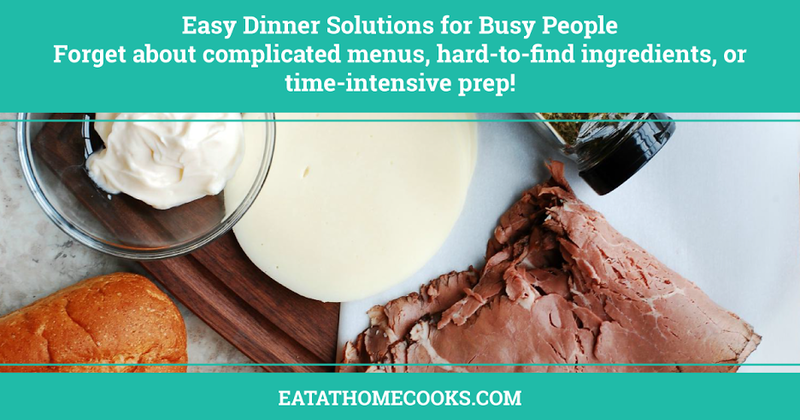 5 Responses to Take the Stress Out of Dinner: Eat at Home Meal Plans Done For You! Quick question – I’m a vegetarian – how does this plan work for that? Many options during a week for me? They don’t have a vegetarian option at the moment and I do think many of the recipes include meat. Sorry! SOS Cuisine, https://www.soscuisine.com/meal-plans/, is similar and it offers vegetarian meals. Hi Jona, I do not sell meal plans, you would have to contact the company directly.